As a person who uses their imagination to create stories with words and pictures, I rely on my mind a lot. However, after many years of experience, I also know that this important tool of mine can also be a major hindrance in getting work done. The mind, though useful, sometimes seems to have plans on its own. It chatters and wanders and gives you 500 reasons why you should be somewhere else rather than where you are at the moment. During times when life troubles are getting the best of you - your child is ill or the weather is making you uncomfortable, or you are in pain - this is one of the time when the mind completely ceases to be a helpful tool. Unfortunately, this phenomenon gets in the way of consistency. I have come to realise that, to become a skilled writer and illustrator, the mind is one of the frontiers I have to tame. 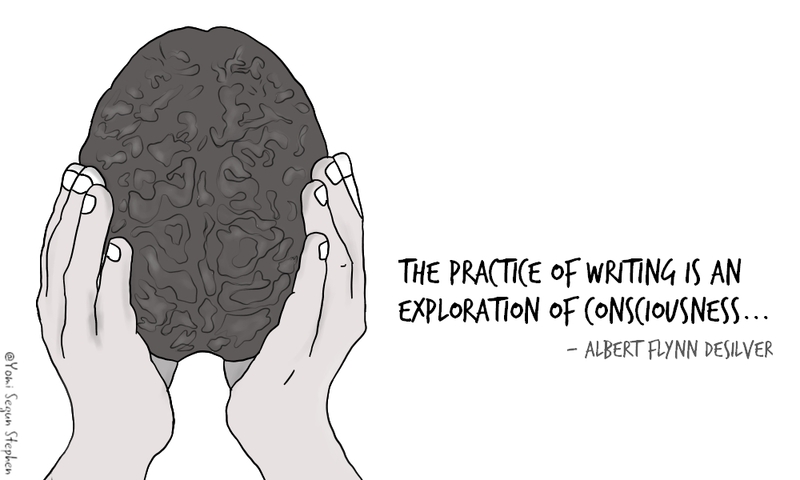 I believe this is why the stream of consciousness technique works for creatives. Stream of consciousness (or freewriting) is a technique where, as a writer, you write whatever comes to mind without filtering it through your thoughts or inner monologue. This kind of writing tends to be disjointed and nonsensical on paper, however, it helps in temporarily tuning-off the talkative part of the mind so that words can be written freely. "I have noticed that the more I practice truly letting go and getting out of my own way, the more raw, honest, insightful, and revealing my writing becomes. Our minds are so quick to judge and condemn, to interfere and sabotage, that much of the time we don't even know it's happening." Writing As A Path To Awakening contains many similar insights and techniques in approaching writing. The book shows that writing can be used to explore our consciousness in a way that makes us understand ourselves much more, making us more happier and at peace. 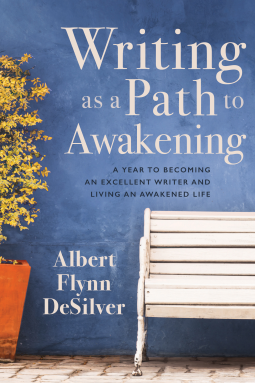 Writing As A Path To Awakening is published by Sounds True Publishing. Many thanks to them for the review copy.